We want to start by saying thank you. Giving back is a team effort and we’re only able to do what we do each year because of our valued clients and our hardworking team. Making time to help others isn’t easy - but we believe everyone doing their bit matters. So as we welcome in 2019, it's important that we look at how Because, as a growing global agency, can make a positive change in our community and around the world. Whether it's donating time or money to a charity, or changing our behaviour for the benefit of the planet; ensuring we have a CSR plan that reflects our values as a business is crucial. To date, our Educare Centre programme has improved the lives of more than 500 children in South Africa. In January, we’ll be starting to build Ulwazi, our fifth Educare Centre, with a goal to build a staggering 10 centres. 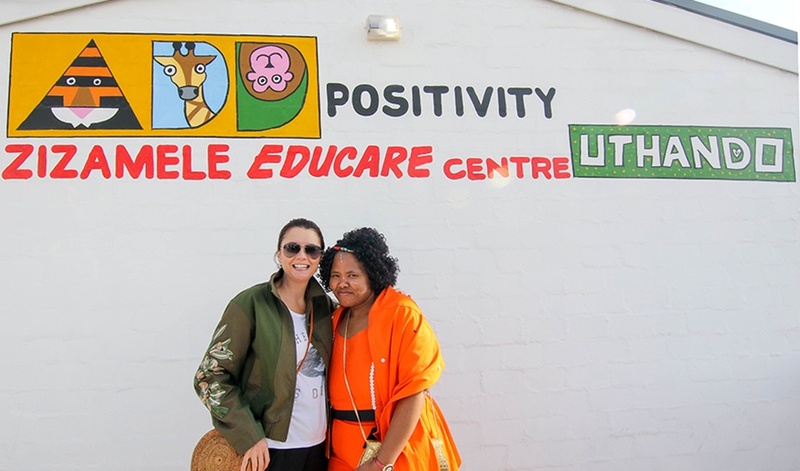 Like our previous centres, Ulwazi will help around 120 children and their families every day, as each centre we build provides childcare services, help with schoolwork, access to computers, a library and a venue for the local communities to meet. With our sustainability focus in mind, this centre will be built by The Natural Building Collective. These buildings typically produce much of their own energy through the smart use of materials and a combination of smart design features to enhance insulation and thermal mass properties. Another focus for us this year will be on mental well-being. We'll be trying out quite a few new things throughout the year, one being regular monthly acupuncture sessions at the agency. We’ll also be giving out AcuPips, a therapy kit for home use, targeting stress, anxiety, migraines and addiction, to staff across the agency. We're recently installed Shred-it bins in the agency, which means nothing ends up in a landfill. 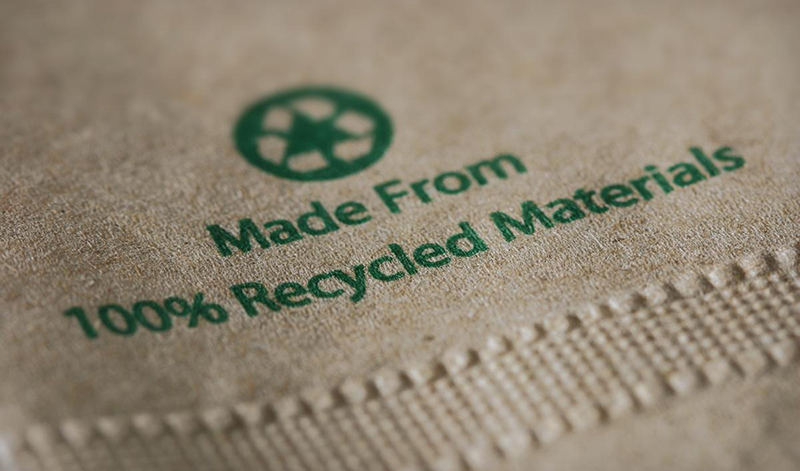 Instead, shredded paper gets recycled into tissues, loo roll and paper cups. Given the nature of our work, it's impossible to be a 100% paperless office, but this will certainly help us reduce our carbon footprint. This initiative was led by one of our staff members, and we’re proud of individuals on our team instigating real change throughout the business. We’re also continuing our commitment from 2018 to reduce plastic waste by banning plastic water bottles in our offices. As a business, we offer each staff member two days annually at a charity of their choice. Our team in Australia leads the field here and has started a team volunteer day at a food bank this February. 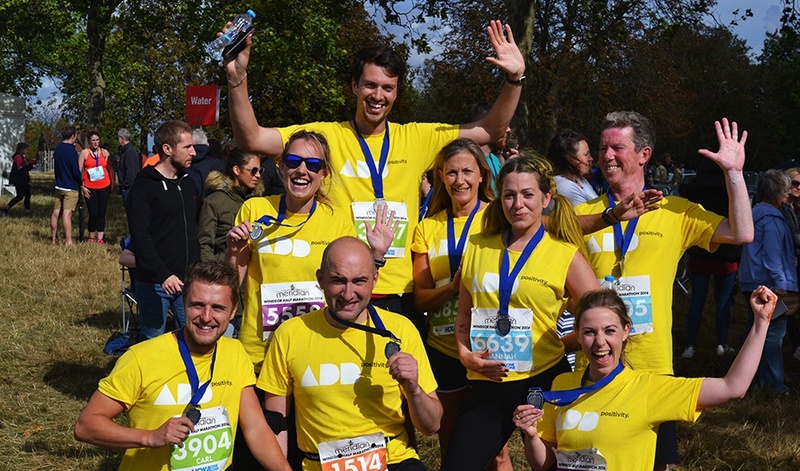 We also support staff who enter charitable sporting events with £/€/$250 donated to ADD Positivity on behalf of the agency. Our Irish team is also competing in the Tough Mudder 5K in July to raise money for Down Syndrome Ireland with a fundraising goal of €2500. We're a bunch of foodies, so we never miss an opportunity to put on a team lunch where one member of the team cooks and the others pay - a great way to show off our Masterchef skills! We also host potluck lunches and have an office tuck shop full of healthy treats. All profits for our fundraising efforts go to ADD Positivity to help fund our Educare Centres. Each Christmas, we pledge to support the elderly. Instead of sending out Christmas cards, each agency in the group will make a donation to a local charity of their choice, like Community Christmas in the UK. Check back often for more updates about how we're giving back in 2019.